The San Diego Park and Recreation Board met in Balboa Park on May 18 to vote on agenda items that included Standley Middle School and Spreckels Elementary School joint use and aquatic facility general development plan amendment. The Parks and Recreation Board voted unanimously to approve the projects. At the meeting Dr. John Lee Evans, Board of Education member, outlined the issues under consideration. The joint use agreement between the San Diego Unified School District and the City of San Diego was adopted in 1975 and has worked smoothly with fields being shared by the schools and the community. At one time, Standley students took swimming at Swanson Memorial pool. The new initiative put forth by Mayor Faulconer and SDUSD Superintendent Cindy Marten is called Play All Day Parks program. The SDUSD schools can help fund the capital projects and the City can underwrite the operational costs. Both the schools and community benefit. At a University City public input meeting in 2014, over 100 people attended to share ideas on the proposals: the pavilion, the pool, and jogging path around the perimeter of the park. The stage pavilion will be ideal for student events and our summer concerts and big events like the UC Celebration. The new pool will provide a much needed site for high school water polo and swim teams, as well as benefit the community. It is exciting to be on the cutting edge of some wonderful projects at Standley Park, knowing added green space at Spreckels and energy efficient methods will drive the design of the pool. While Standley Park Recreation Council overwhelmingly supports this project, the unanimous votes by San Diego Park and Recreation Board were music to the ears of those who have been working on the project since 2014. Plenty of work lies ahead, but University City is on the right path after that unanimous support from Parks and Recreation. 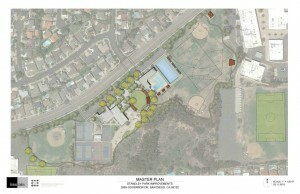 January 2016, update courtesy of Barry Bernstein, UCCA President: On January 14, the “Imagine UC 2020” committee met with San Diego City School’s facility development staff and City Park and Recreation officials to review the preliminary design of this well advertised community improvement project. That same day Mayor Kevin Faulconer in his “state of the city” message referred to approval of shared land use agreements with our schools, and how these kinds of community projects would support the goals of his administration. 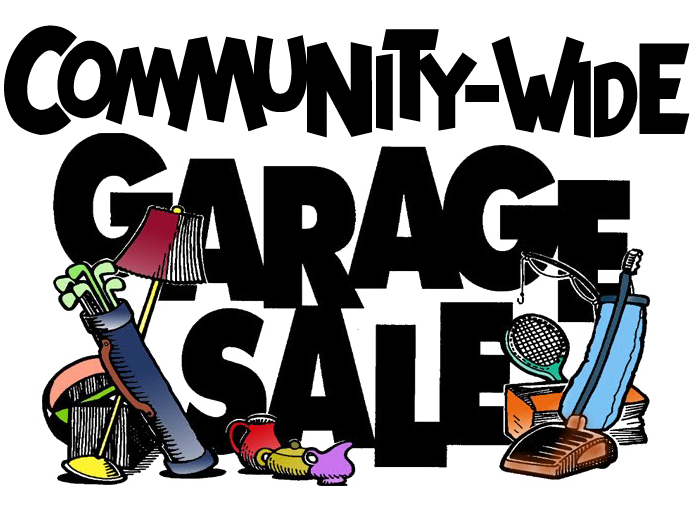 UCCA will be sponsoring a community wide meeting in the Spring to provide U.C. residents with an opportunity to be brought up to date on the progress. For the most up-to-date information on the ImproveUC not-for-profit organization and the Imagine UC 2020 initiative, please visit the Improve UC website at http://improveuc.org/imagine-uc-2020-2/. Imagine UC 2020: Our park, our schools, our community. Imagine UC 2020 is a vision for our community in the area along Governor Drive that has been presented by San Diego Unified School Board member John Lee Evans and other community leaders. For the most up-to-date information on the ImproveUC not-for-profit organization and the Imagine UC 2020 initiative, please visit the Improve UC website at http://improveuc.org/imagine-uc-2020-2/. December/January 2015: Please refer to the back page of the Dec/Jan UCCA newsletter to learn of the larger vision for the area along Governor Drive surrounding Standley Park between Spreckels Elementary and Standley Middle Schools called Imagine UC 2020. Visit the Improve UC website at http://improveuc.org/imagine-uc-2020-2/. Greg Zinser, President, Improve UC: Improve UC is a nonprofit organization dedicated to facilitating all types of improvements within our community. We’ve been working on the Standley Park Pavilion project since the beginning of this year (2014) and on behalf of the Improve UC board, I want to thank all those who have made pledges to this project. We appreciate the community support we’ve received so far, and will continue our efforts to make this project a reality. Many thanks to those who continue to express interest in our progress on the community stage project. This project has received unanimous conceptual approval at every level. We are now preparing construction drawings to be reviewed by the City pursuant to issuance of our construction permit and for purposes of obtaining proposals from qualified construction companies. Once the permit is obtained, and a construction company is chosen, we will begin the work of obtaining donated materials, services and funding from those businesses and individuals who would like to be a part of this project that will be a focal point of our community for many years to come. On behalf of our Improve UC Board, I want to recognize and thank Philip Cudaback, a local architect, who is donating professional services to make this project possible. We also want to thank the local, regional and city-wide Parks & Recreation Department staff, all of whom have been extremely helpful and a pleasure to work with. The Improve UC Board of Directors is pleased to welcome Wil Burfitt as our newest member. Wil is Director of Philanthropy for the Scripps Research Institute. He brings many years of experience in capital campaigns, planned giving, major gifts and special events. He is a member of the San Diego Planned Giving Partnership and the San Diego Chapter of the Association of Fundraising Professionals. Wil is also a resident of University City. We appreciate Wil’s involvement in our efforts and look forward to working with him in the coming years to secure funding for projects that will improve our community. Improve UC, also known as the University City Community Foundation (UCCF) was created through the generous support of the University City Community Association (UCCA) to facilitate improvements in University City. As a 501(c)(3) nonprofit organization, we will provide a structure within which tax-deductible donations can be made for community projects. IF YOU LIVE OR WORK IN UNIVERSITY CITY, and have an interest in helping improve our community, please take a few minutes to provide your ideas and suggestions. In the coming months the University City Community Foundation (UCCF) will be evaluating and prioritizing improvements projects, and we are asking the community to express their interests in specific types of improvements. UCCF was created through the generous support of the University City Community Association (UCCA) to facilitate improvements in University City. As a 501(c)(3) nonprofit organization, we will provide a structure within which tax-deductible donations can be made for community projects. With the help of UCCA, we will secure funding for projects that fall within the scope of our tax-exempt purpose, solicit volunteers for project completion, and keep donors and members of the community informed as to the status of projects, and new opportunities for community improvement. 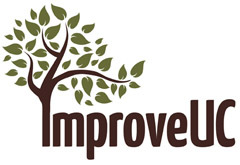 Please take a few minutes to provide ideas and suggestions that will help guide the efforts of those who have volunteered to lead the way in promoting improvements in our community by going to our website at www.ImproveUC.org and clicking on the “Community Survey” link at the top. We have designed this brief survey to give you the option of keeping your response completely anonymous. We will not be able to link responses with individuals who submitted them. Finally, this survey is being distributed through multiple email address books which may result in duplications. Our apologies if you receive multiple copies.